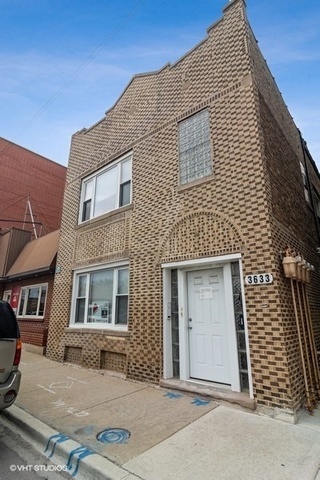 Amazing Brick Legal 4-Unit Building situated at border of Hot Avondale and Irving Park. Units were rehabbed in 2014 by the previous owner with new plumbing, kitchens, baths, and brand new separate furnace and central A/C for each unit. Units are spacious with high ceilings throughout. The rents can be increased significantly. This property is perfect for owner occupier or house hacker. Walking distance to Jewel Osco, Target, First Ascent, Revolution Taproom, Chief O&apos;Neill&apos;s, Addison Blue line and highway. Will not last long. Property does not qualify for FHA.